Well done to everyone who has helped with our ‘Phil the Bag’ collection. Judging by the number of bags stored under the covered walkway waiting to be picked up, many of you have used this opportunity to have a good clear out!! Learning about the impact or ecological footprint of our communities encourages us to ‘think locally and act globally’. Not only will we benefit as a school, the environment will benefit too – by recycling our unwanted clothes for people to re-use, we will be helping to reduce landfill. We will let you know how much we raised in due course. 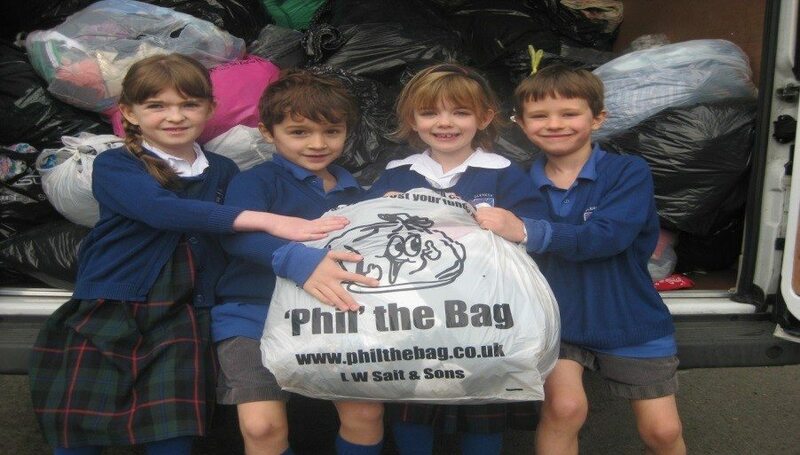 Thank you to Mrs Gullick, in her role as Eco Co-ordinator and her monitors, Isaac, William, Abigail and Poppy for organising the ‘Phil the Bag’ collection.